If you have a petite Picasso or mini Monet living at your place, you’ll also have something else – the dilemma of what to do with the piles of artwork they keep leaving around the house! Here at Babyology, we are committed to helping you solve the problem and in the past we’ve found lots of different solutions – you might like to preserve your mini art gallery as jewellery, a custom art book, or even an iPhone cover. But if you just want to hang it on the wall, and more permanently than with Blu Tack, Little Pencils has the answer. Graphic designer and illustrator Sara Cotsios first began creating collages of her daughter’s artwork after being amazed at the impact of children’s artwork when displayed on a large scale. Her canvases measure anywhere from 60cm to almost two metres long so you can imagine the effect on a large, bare wall. 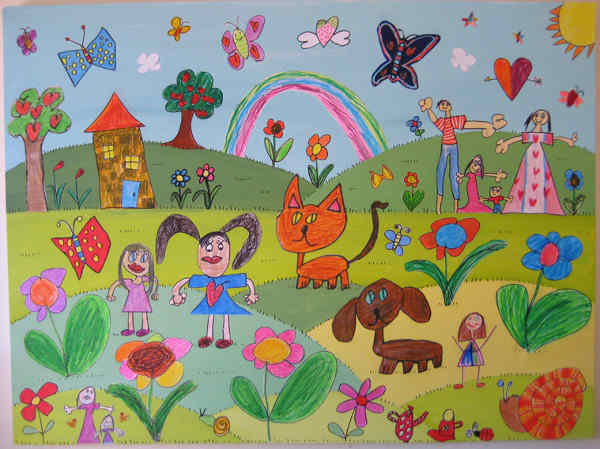 The canvases are created using a kind of decoupage process, and she is happy to work with either artworks which your child creates specifically for the canvas, or with whatever you can pull out of your cupboard! 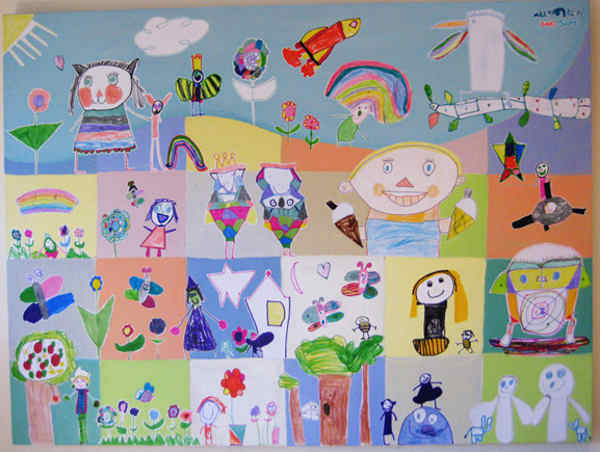 What a great way to display a large number of works together, especially if your little artist is the kind who draws all their masterpieces around the same theme. Prices for a unique Little Pencils canvas of your own begin at $400 and Sara is happy to discuss details over email, or to meet in person if you live in Sydney.